Choosing an insurance-friendly family car does not mean limiting yourself to the smaller end of the scale or ones where you miss out on equipment. Nor does it require you to forego driving fun and refinement, as you can see from our top 10 picks of the lowest insurance group cars in this corner of the market. You’ll also see that many of the major players are represented here, proving that a big-name badge on the bonnet is no impediment to affordable cover. Not only can you have the reliable dependability of the Toyota Auris with low-cost insurance, it’s also the best-selling hybrid version. That means 78.5mpg average fuel economy and 82g/km carbon dioxide emissions to further push down the cost of ownership. 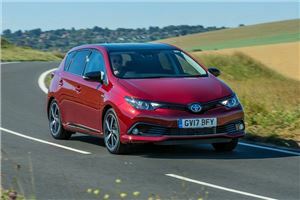 Admittedly, the Auris Hybrid is not going to tickle your driving bone as it takes a leisurely rather than athletic approach to its driving. Still, it’s put together with care and fastidious attention to detail, and the cabin is comfortable and offers a family plenty of space. But how much can you actually expect to pay for insurance? 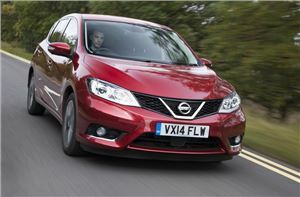 What can we say about the Nissan Pulsar that won’t bore you to tears? Well, it’s… decently equipped and the engine doesn’t make much noise when you’re on the motorway. In fact, the 1.2-litre motor in this model is the highlight of an otherwise dull hatch. It’s got plenty of zip and is easy on fuel and emissions. A shame, then, the rest of the drive is so hum-drum, and the same can be said of the cabin’s appearance and overall quality. At least it’s cheap to insure. The Vauxhall Astra is the ideal family car for anyone who just wants to get on with their life without concerning themselves with cutting edge design or dynamics. That’s not to damn the Astra as it’s good to drive and its dash is laid out in a clear, uncluttered manner. 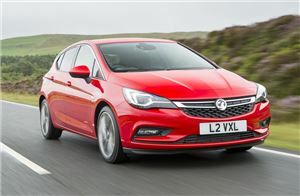 In fact, the Vauxhall’s easy-going nature is its biggest asset as it just works whether you need to commute long distances, tackle the school run or just want affordable insurance. Along with the cheapest premium, this model comes with the excellent 1.0-litre turbo petrol engine that gives 64.2mpg and 102g/km CO2 emissions. Ah, the Golf. If ever a car has become synonymous with a particular type of car, the Volkswagen is it. The German has become the benchmark for quality, refinement and practicality, as well as offering wallet-appeasing running costs. An update in 2017 made it even better and there’s now a long list of standard luxury and safety kit with every Golf model. The 1.6-litre TDI is ideal for anyone covering more than average miles thanks to its 70.6mpg average economy, while Group 10 insurance and 103g/km emissions also help keep spending under tight control. We make no apologies for plumping for the Tourer estate version of the Hyundai i30 as the perfect fit for families. It comes with a massive 602-litre boot in normal guise which is more than enough to cope with the kids’ bags, bikes and boots. Drop the rear seats and that extends to a huge 1650-litres. As well as space, the Hyundai impresses on other final frontiers such as the way it flows along any type of road. With the 1.6-litre turbodiesel, not only is insurance low, fuel consumption comes in at a combined 74.3mpg and emissions at 99g/km. 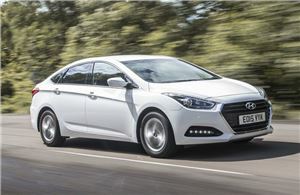 Hyundai is the only company to enjoy two entries in this Top 10 and the i40 earns its place with Groupe 12 insurance. For a larger family car, that’s a commendably low ranking that saves you cash when paying for your premium. The i40 continues to deliver strong value thanks to a healthy amount of equipment included in the price of this S version. 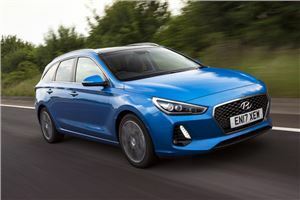 You also get lots of safety kit and the 1.7-litre turbodiesel offers up 67.3mpg and 110g/km whether you choose the hatch or very accommodating estate. 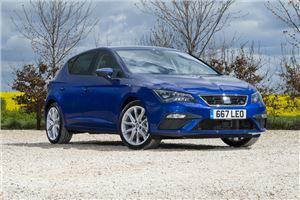 There’s an instant and easy likeability to the SEAT Leon that goes much further than it sharing much of its mechanical base with other VW Group models such as the Golf and Skoda Octavia. The Spaniard’s styling lends it a sportier note, while the nifty handling and supple ride back this up. 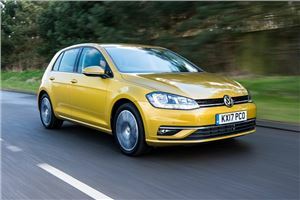 That deftness is not at the expense of your bank balance as this 1.2 TSI model can average 57.6mpg, along with 114g/km. The Group 12 insurance bracket may be a couple of notches higher than the cheapest Golf to cover, but the driving rewards are worth it. One of the largest, most generously spacious family cars there is included here? 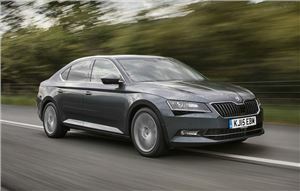 Yes, the Skoda Superb makes our Top 10 thanks to Group 12 insurance for the 1.6 TDI 120 S model. It may not be the quickest or most fun Superb to drive, but it’s still more than comfy, quiet and enjoyable for any journey. Also, that diesel engine offers up combined 67.3mpg economy and 110g/km emissions. All of that cabin space means the Superb is ideal for those with a growing family as even lanky teenagers can sit with room to spare. Up front, it’s classy and well equipped.